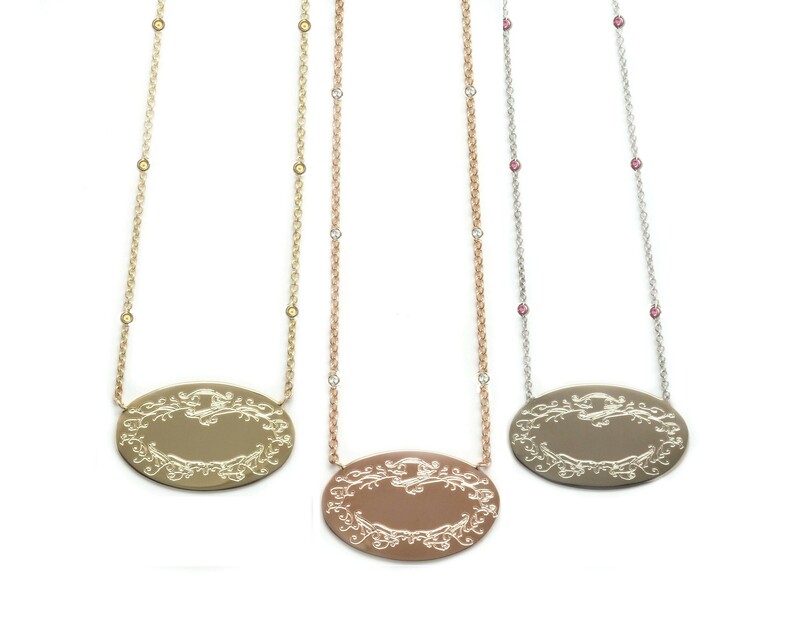 Our small Signature pendant rests on a delicate chain of bezel set stones. Choose from diamonds or yellow, pink, or blue sapphires. 18" adjustable to 16" chain.